A clear reusable poncho with a logo decorated label. 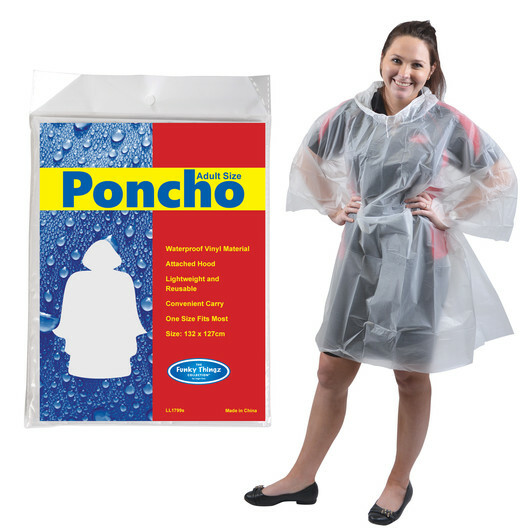 Get a promotional poncho that you can use over and over again! The ponchos come packed in a clear polybag with a standard insert. 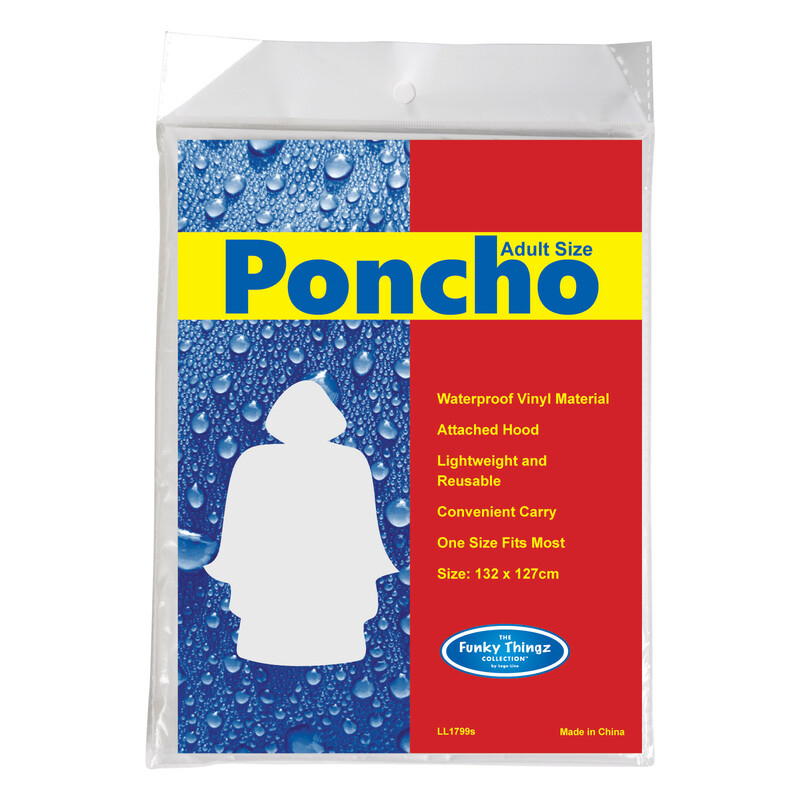 Great product to have for rainy days.